Romance Of The Three Kingdoms XIII – PS4 [Digital Code] for $35.99! 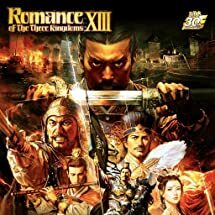 Grab Romance Of The Three Kingdoms XIII – PS4 [Digital Code] for $35.99 at Amazon! Previous PostPrevious Furi – PS4 [Digital Code] for $9.99! Next PostNext New Release: Axiom Verge: Multiverse Edition – PS4/PS Vita Multiverse Edition Edition available for pre-order!